How did the British come to conquer South Asia in the late eighteenth and early nineteenth centuries? Answers to this question usually start in northern India, neglecting the dramatic events that marked Britain’s contemporaneous subjugation of the island of Sri Lanka. 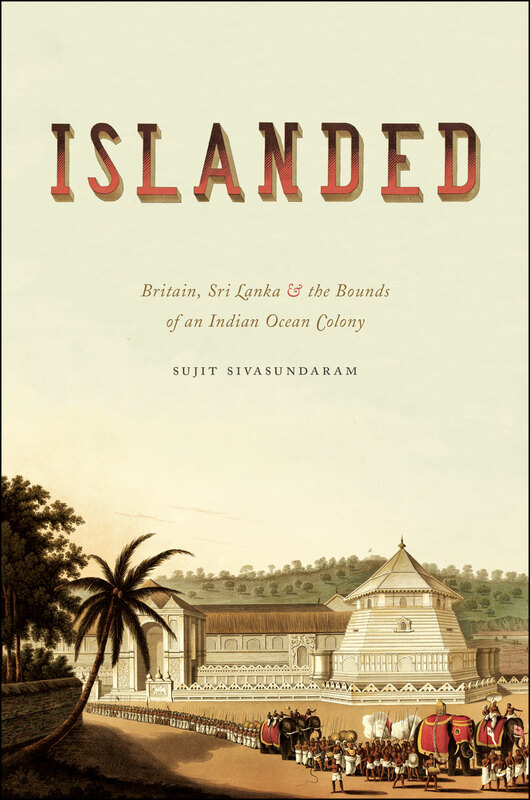 In Islanded, Sujit Sivasundaram reconsiders the arrival of British rule in South Asia as a dynamic and unfinished process of territorialization and state building, revealing that the British colonial project was framed by the island’s traditions and maritime placement and built in part on the model they provided. Using palm-leaf manuscripts from Sri Lanka to read the official colonial archive, Sivasundaram tells the story of two sets of islanders in combat and collaboration. He explores how the British organized the process of “islanding”: they aimed to create a separable unit of colonial governance and trade in keeping with conceptions of ethnology, culture, and geography. But rather than serving as a radical rupture, he reveals, islanding recycled traditions the British learned from Kandy, a kingdom in the Sri Lankan highlands whose customs—from strategies of war to views of nature—fascinated the British. Picking up a range of unusual themes, from migration, orientalism, and ethnography to botany, medicine, and education, Islanded is an engaging retelling of the advent of British rule.